Currently, Morgan uses an impressionistic style to capture the quiet serenity of the Smoky Mountains and the coastal marshes. Not afraid of the unusual, she has also included rare minerals as inspiration for her abstract series, Written in Stone. Her color palette varies from painting to painting and draws on the rich lushness found in each natural scene. As to why she became an artist, Morgan has no answer, but from her earliest years she visualized scenes and wondered how they would look as a painting. On rainy days, daydreaming out the window or watching a shaft of light transform an object, she tried to capture the feeling of the moment. Her mother and father looked on her obsession with curiosity as no one else in the family were artists. Her beloved grandfather, Buford Smith, quietly encouraged her and through his loving guidance she followed her secret dream. She haunted the libraries for how-to books or books of other artists through the ages, then on to life drawings, classes, and workshops with many nationally known artists. She explored pastel, watercolor, mixed media, but paints primarily in oil. 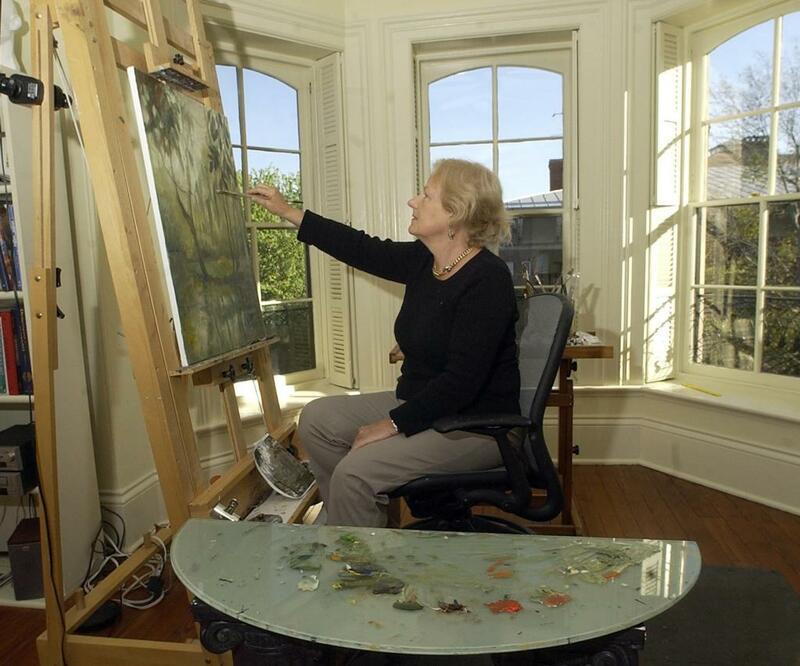 Morgan is the owner of The Downstairs Gallery, which is located in the garden level of her home in Historic Savannah.